Dorthy May Wiesehan, 85 of Antwerp, passed away Saturday, September 1, 2018 at Vancrest of Payne. Dorthy was born in Continental on Sept. 30, 1932 a daughter of the late Paul & Clara (Beckman) Nighswander. 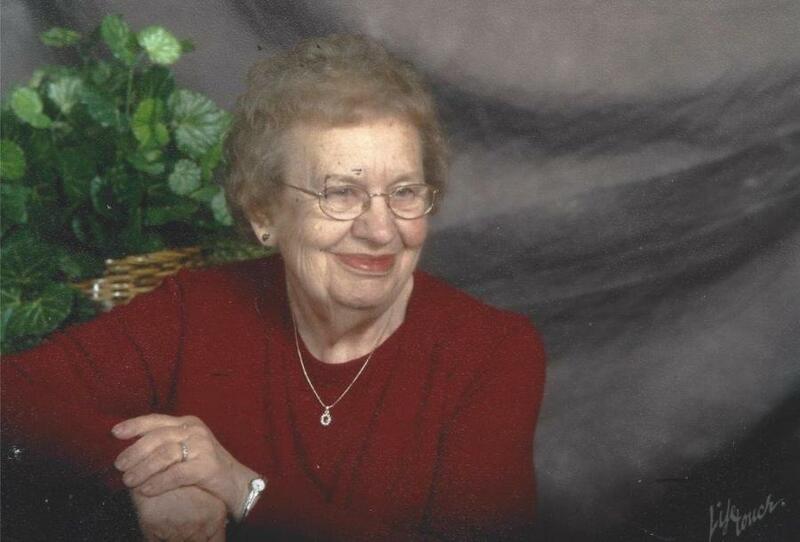 Her sense of humor, smile and devotion to her God, her family & Antwerp United Methodist Church will never be forgotten. She loved to drink coffee and play cards & dice; passions that she passed on to her family. She married her husband Lloyd March 2, 1949. He passed away March 15, 2001. Dorthy's presence will be missed by her children, Kathleen (Dave) Neidhardt, Christine Wiesehan, Irene (Randy) Williamson, Gene (Cheryl), Keith (Susan), Alan (Cheryl) & Frank (Marla) Wiesehan; siblings, Donna Ball, Marge Carnes-Kemp, Donald, Larry Edward, Albert (Bernita) & Robert Nighswander; 17 grandchildren; 35 great grandchildren & 1 great great grandchild. Dorthy's funeral service is Thursday, 10 am, with viewing from 9 to 10 am at Antwerp United Methodist Church, 202 E. River St., Antwerp. Viewing is also Wednesday, 4 - 8 pm at Dooley Funeral Home, 202 W. River St., Antwerp. She will be laid to rest in Wiltsie Cemetery, Payne. Memorials are to the church. Flowers and other tributes may be delivered Wednesday, 9 am to 1:30 pm to the Dooley Funeral Home, Antwerp.